January 6 – FIFA has a new human rights case to champion and this one looks like it is directly related to football. Following the Iraq vs Qatar game at the Asian Cup in the United Arab Emirates, British passport holder Ali Issa Ahmed was arrested, reportedly for wearing a Qatar shirt to the game. The UAE, which is part of the economic blockade of Qatar, announced in June 2017 that showing sympathy for Qatar on social media or by any other means of communication is an offence. 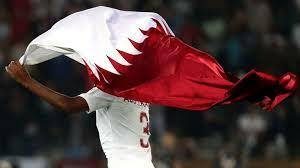 Ahmed attended the match on January 22 at the Al Nahyan Stadium in Abu Dhabi wearing a Qatari shirt. The original report in the Guardian newspaper said that he had been arrested by security, beaten and then released. He then reported the assault to the police who took him for medical treatment where it was decided that his injuries were self-inflicted and he was then arrested and charged for making false assault claims to police. A statement by the UAE authorities said he had made his complaint to police in Sharjah – a three-hour drive from Abu Dhabi. “The police took him to hospital where a doctor who examined him concluded that his injuries were inconsistent with his account of events and appeared to be self-inflicted,” said a government statement, reported by Reuters. The statement said that Ahmed had later admitted to making false statements and wasting police time after being charged on January 24 and will now be processed through UAE courts. It is unclear whether his false statements accused any individuals or the circumstances surrounding the admission that statements were false. In the past four weeks FIFA has taken up the human rights case of Hakeem Al Araibi who is facing extradition from Thailand to Bahrain to serve a 10-year prison sentence. The part-time footballer has refugee status in Australia but was travelling to Thailand on holiday where he was arrested at the border on an Interpol Red notice that had been issued by Bahrain. Where the case of Ahmed differs is that he was actually at a football match and wearing a replica shirt – which many people do at football matches. His arrest stemmed from that first event. British embassy officials are now in contact with the UAE authorities but can he expect support from other quarters? It seems a clear cut case for FIFA, with their new found human rights conscience, to have to step in to protect the safety of football fans attending international matches, particularly considering their close and friendly contacts in the UAE. With the UAE having just completed the hosting of the Asian Cup the channels should be wide open for dialogue. The UAE also hosted FIFA’s own Club World Cup last December and FIFA president Gianni Infantino generally spends Christmas in Dubai around the time when a football awards ceremony takes place. If FIFA is now taking up human rights cases related to football then they should act – having taken the plunge on Al-Araibi, individual human rights is not really an area they can pick and choose cases for expedient political reasons. The UAE is a particular focus of attention at present because of its ambitions to run the Asian Football Confederation (AFC). Major General Mohammed Khalfan Al-Rumaithi was a late entrant into the running for the AFC presidential election that takes place in April. He and his advisors have spent the last month lobbying AFC federation presidents for their vote as his country hosted the Asian Cup. It was an Asian Cup that, unfortunately for Al-Rumaithi, saw Qatar beat Saudi Arabia and his own country in the semi-final, before going on to win the title. He was part of the awards presentation party at the final and cut a miserable looking figure as Qatari after Qatari picked up tournament trophies. The defeat at the hands of Qatar was obviously thrown into the global spotlight politically by the economic blockade of the country. The behaviour of the UAE fans during and after the match was not helpful and UAE FA officials even lodged a protest against the nationalities of two Qatari players two hours after the match using documentation that could only have been gained from national intelligence sources. It was ugly, unpleasant and petulant behaviour all-round. Though the match itself was a good event and played with the spike and bite you would expect of a derby fixture. Al-Rumaithi’s background is that he was Commander-in-Chief of Abu Dhabi Police. And perhaps that is what the AFC’s federations should be wary of when it comes to casting their vote. And as for Ali Issa Ahmed, it was probably not the wisest choice to wear a Qatar football shirt in Abu Dhabi, Sharjah or anywhere else in the UAE on a Qatar match day. In the same way that it wasn’t a smart choice for Hakeem Al-Araibi to take a holiday to Thailand which has an extradition treaty with Bahrain. Thank goodness FIFA is on hand to help save them, or at least one of them. The power of football – sort of.